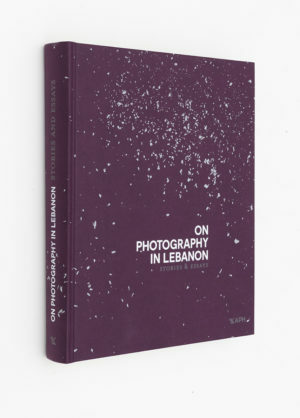 40 authors and 380 photographs were compiled in a voluminous, handsomely produced book overseen by Nour Salame and Clemence Cottard Hachem. The book opens with an interview with the incredible Etel Adnan, and closes an essay by Stephen Sheehi about whether the history of Lebanese photography can be written. In between, authors went from the completely technical, to the utterly conceptual. Some displayed respectable knowledge (Gregory Buchakjian, Ghada Waked, Walid Sadek to name just a few), others went almost personal (the endearing essay by Fouad Elkoury about Marie El Khazen is simply mesmerising or that witty work about Arab Image Foundation by Kaelen Wilson-Goldie are to note), and just to be honest, a couple of essays made no sense at all (even to my complex mind - one essay was composed of one paragraph consisting of interminable sentences spread over two pages!). There were some very few small errors here and there (Rasha Kahil was described as a male, the word "empovrished" was used two times in a row in one pragraph, an omission of a photo upon which a whole essay was based, a small ethical error (due apparently to footnotes not being included), etc) but judging from the sheer volume of the book these are totally excusable. Of course, with such a diversified book, many technical info and tidbits get shared and reshared (Studio Mario appeared about three times), but apart from the beauty of the book the fundamental question lies elsewhere. This endeavour is "a publication and an event* supported by Byblos Bank". There, this says it all. This is not some Ministry of Culture effort, this is not some governmentally-subsided thing, no - a private insitution had to move and shake things to produce this wortwhile art book. Why is it always private institutions taking the place of government (or parties taking the place of the state) in Lebanon? That would be the topic of a different book, but for now Kaph Books and Byblos Bank have gone over and above themselves with this one. *The book will be signed at the Sursock Museum on October 4th 2018 between 5-9 P.M.